What is Peerless Ultra Soft Shot? 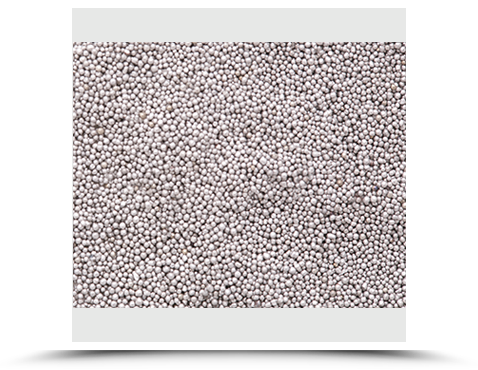 Peerless Ultra Soft Shot is a metallurgical enhanced, soft steel developed for use in abrasive blasting applications where little or no damage or change to the surface can be tolerated. Peerless Ultra Soft Shot is produced in our own Detroit plant using a proprietary manufacturing process derived from our powdered metal production. Peerless Ultra Soft Shot can be used in conventional blast cleaning machines, both airblast and airless, with no equipment changes or special adjustments to the blast machine. Because this media is so very soft, it nearly eliminates wear and tear on blast machines and their components. Because Ultra Soft Shot can be used in standard blast machines, this allows you to mass finish parts that are now being finished one-at-a-time in an airblast cabinet. How does Peerless Ultra Soft Shot compare to other abrasives? can be used in airless blast equipment. no wear & tear on blast machine. a less dusty atmosphere for improved visibility in the blast cabinet. What Peerless Ultra Soft Shot sizes are available? Peerless Ultra Soft Shot is available in many sizes, from US 70 to US 780, however the most popular sizes are US 70, US 90, US 110, US 170, US 230 and US 280. Special shot and grit sizes can be produced to fit special applications. What are some applications for Peerless Ultra Soft Shot? New applications for Peerless Ultra Soft Shot are being developed and we are anxious to discuss your specific needs. Please call Peerless Metal Powders & Abrasive: 313.841.5400.